Babies are in bloom around here, friends. Between snuggly cuddles from my Frances, I’m co-hosting a family baby shower for my dear cousin. 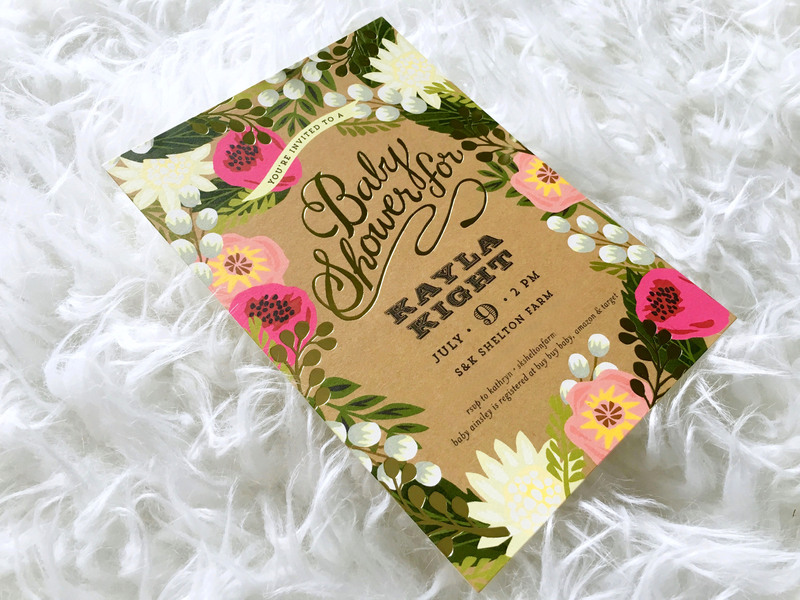 It seems like it was just yesterday that I was planning Kayla’s bridal shower (oh wait, that really was only a year ago! ), and now here we are celebrating the upcoming arrival of her first baby girl. 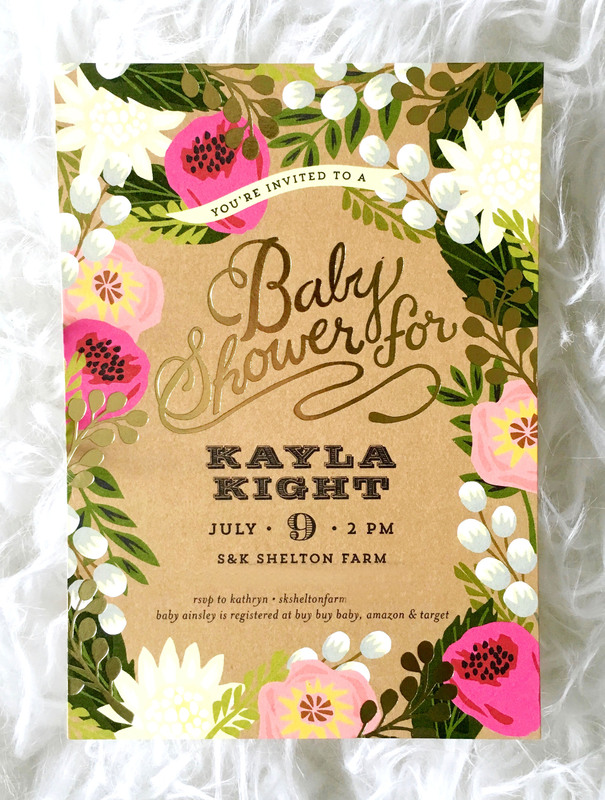 My mother and I had picked out a gender neutral baby shower theme of kraft paper and Baby’s Breath, but when baby Kight turned out to be a girl we just knew we had to toss in some bright floral accents. Kayla grew up as the only girl with FOUR brothers. She deserves a little pink and pretty. 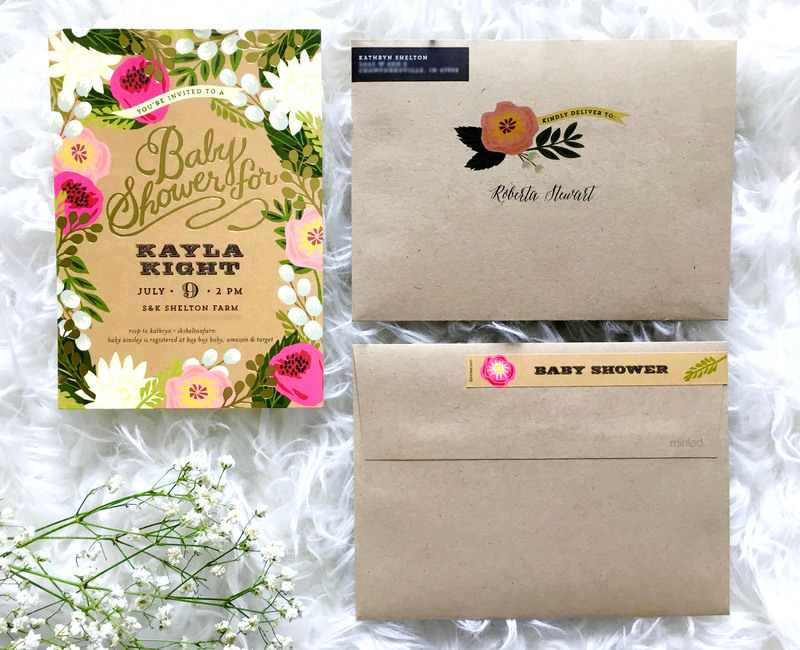 It’s no surprise that Minted had exactly what we were looking for in baby shower invitations – floral, kraft paper and free recipient addressing (nobody has time to hand address 50 envelopes right now!). 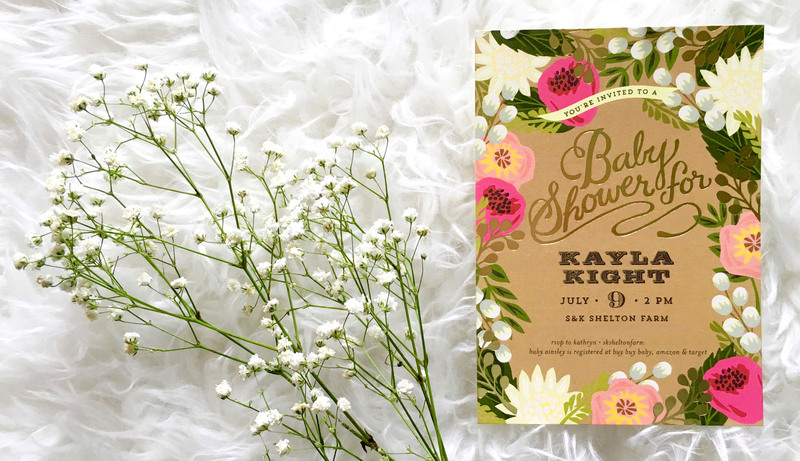 The gold foil-pressed detail was just the icing on this beautiful design. And let’s talk about the skinnywrap address label. It’s nothing too special, but it just makes the whole package seem extra fancy. Hopefully our super casual (but pretty!) baby shower lives up to the invitation. Stay tuned for more party planning details about the baby shower! For now, here’s to raising all of our baby girls to be as beautiful as wildflowers – brave, bright and free.